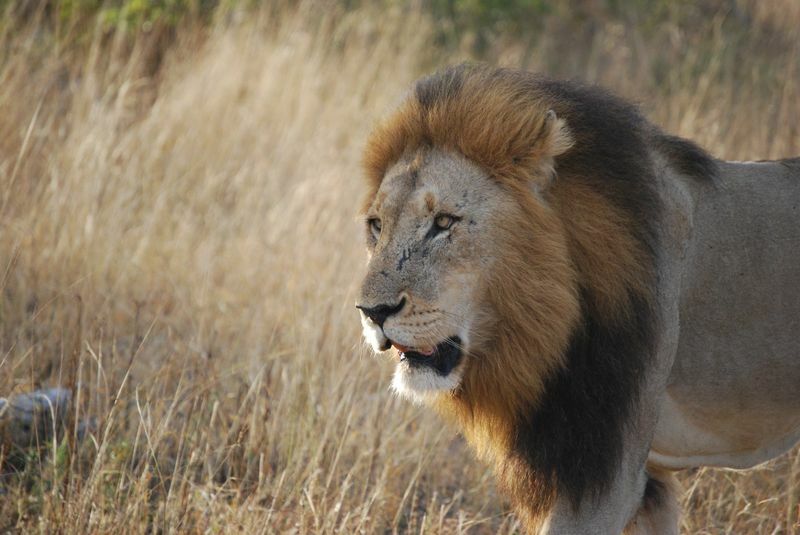 Kruger National Park is the most famous and one of the oldest game reserve in South Africa. Here you can find the country’s most diverse wildlife. Mountain and Boulders Beach are also two of the country’s renowned national parks frequented by travelers. Read on to discover more details about them as well as other national parks for a safari in South Africa. One of the oldest national parks in the world and the oldest in South Africa, Kruger National Park offers one of the most affordable and accessible game reserves in Africa. Proclaimed a national park in 1927, it is famous for offering sightings of the Big Five animals. The sheer number of animals living in the park is extraordinary: 1,500 lions, 17,000 elephants, 48,000 buffalos, and 1,000 leopards. Zebras, giraffes, rhinos, and hippos can also be spotted here. In total, about 147 mammal species can be found in the vast park. Due to its excellent infrastructure, Kruger is a great place for a self-drive safari. Should you prefer to be guided, then a jeep safari may be more up your alley. Planning to travel as a family? Rest assured that many lodges offer children programs so that the little ones are always entertained and learn about the surrounding nature. How to get to Kruger National Park: Most visitors fly into O.R. Tambo International Airport (JNB) near Johannesburg. Most safari operators offer pick-up/drop-off from this airport. Park fee per day: Standard Conservation Fee (Foreign Visitors) R372 (26.75 USD) per adult/ R186 (13.36 USD) per child. Famous for: Big Five, Little Five, Birding Big Six. 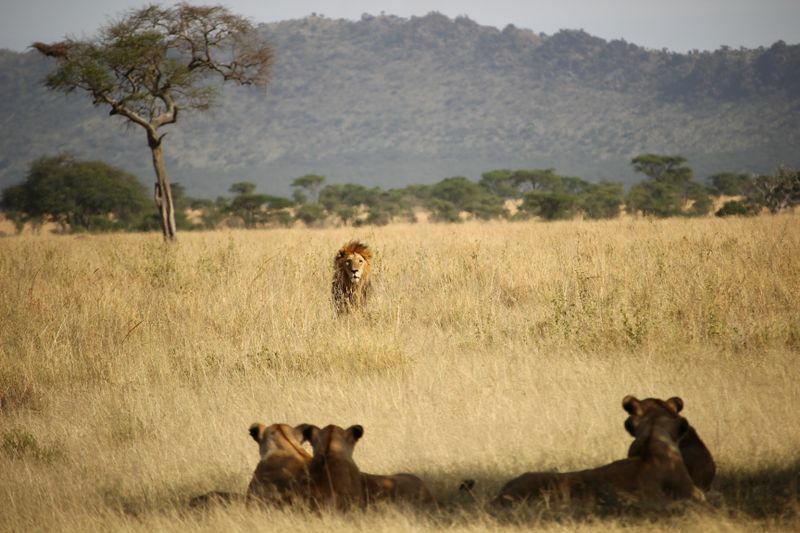 Planning a safari in this magnificent park but don’t know where to start? Read our detailed guide to visiting Kruger National Park. 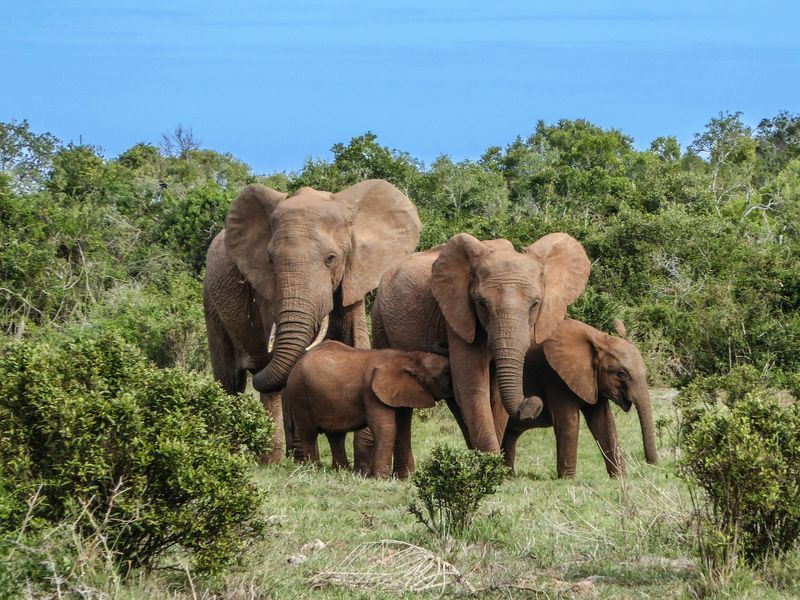 The third largest game reserve in South Africa, Addo Elephant National Park was founded in 1931. The original park was expanded to include St. Croix Island and Bird Island, the latter being home to the world's largest breeding colony of gannets. 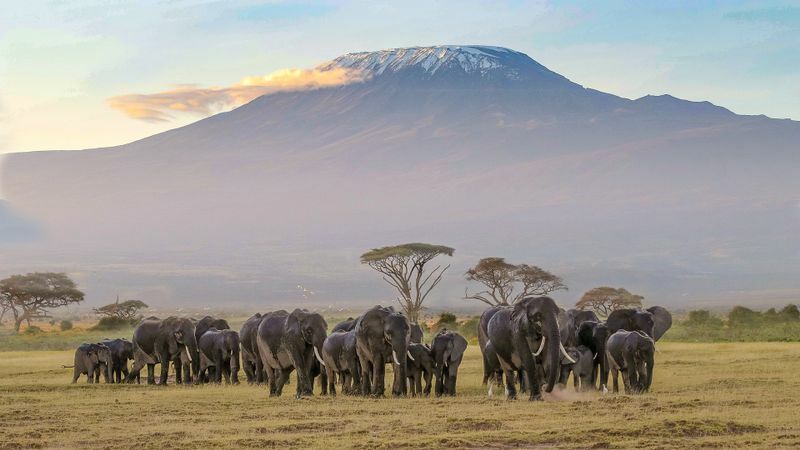 It offers some of the best elephant viewing in the world and is home to 600 of them. Over 400 Cape buffalos can also be found here, along with warthogs and antelopes, while lions and hyenas have been introduced in the park in 2003. 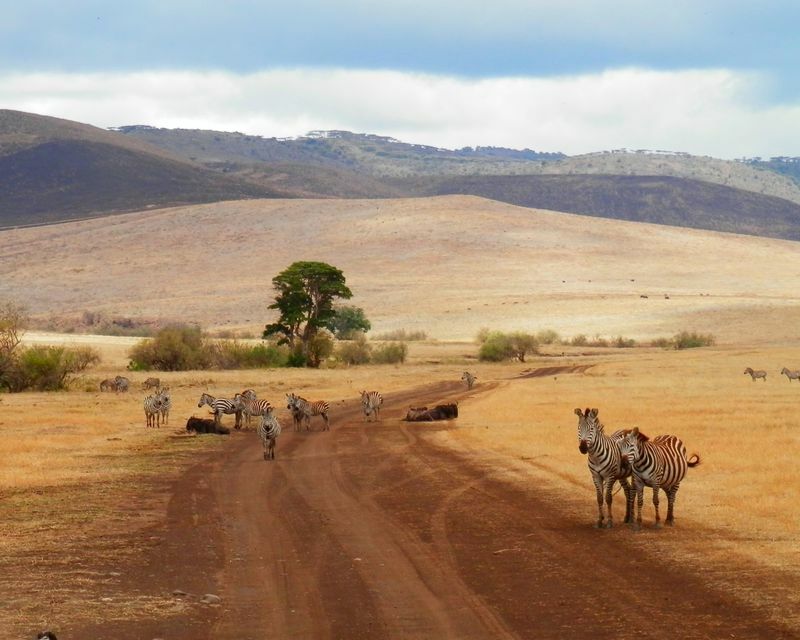 Addo is also a great park for self-drive or jeep safaris. Those who prefer hiking can enjoy the two hiking trails – both short trails for day trippers and a longer 2-day hiking trail. 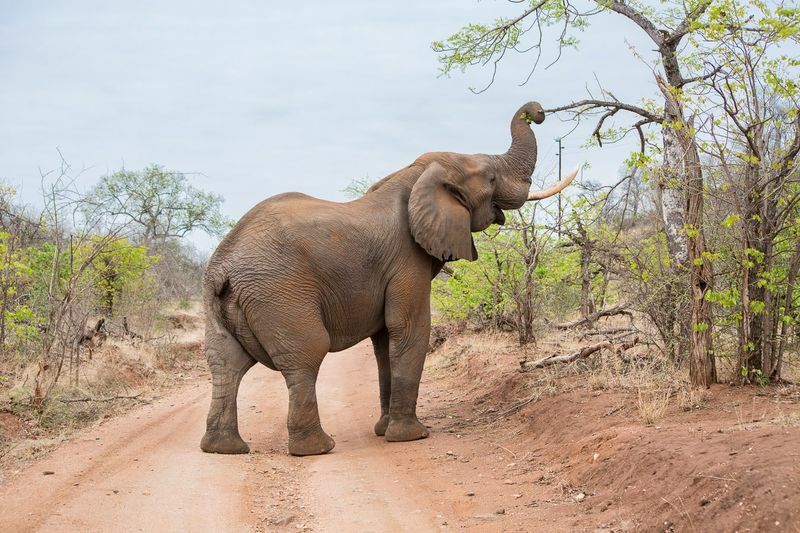 How to get to Addo Elephant National Park: The nearest airport is Port Elizabeth International Airport (PLZ), although most visitors arrive by way of O.R. Tambo International Airport (JNB) near Johannesburg or Cape Town International Airport (CPT). Be sure to check with your safari operator whether the airport transfer is included or can be arranged. 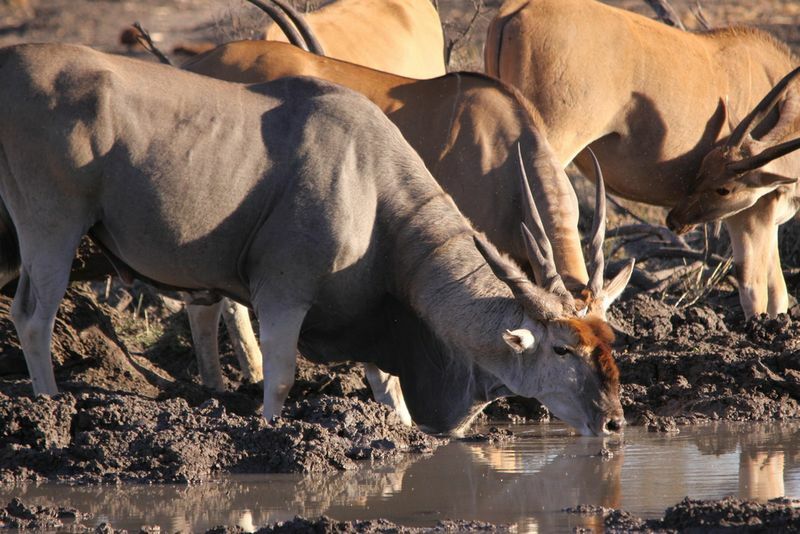 Famous for: Endangered black rhinos, floodlit waterhole at the main camp, hiking trails. Proclaimed a game reserve in 1998, Table Mountain National Park protects the natural environment of the Table Mountain Chain. It is part of the UNESCO Cape Floral Region World Heritage Site. It is home to three well-known landmarks: Table Mountain, Cape of Good Hope, and Boulders Beach. The penguin colony at Boulders Beach is one of only a few in the world. There are three boardwalks which allow viewing of the birds. The beach is always ideal for children but remember to stay alert. The penguins may be cute and cuddly but remember that their beaks are sharp! 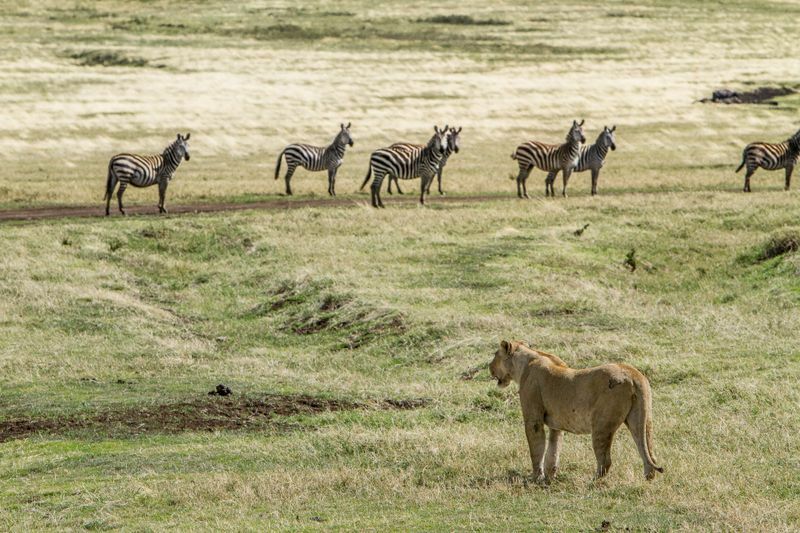 Aside from the penguins, the park is also home to lions, hyenas, jackals, elands, zebras, and bonteboks. 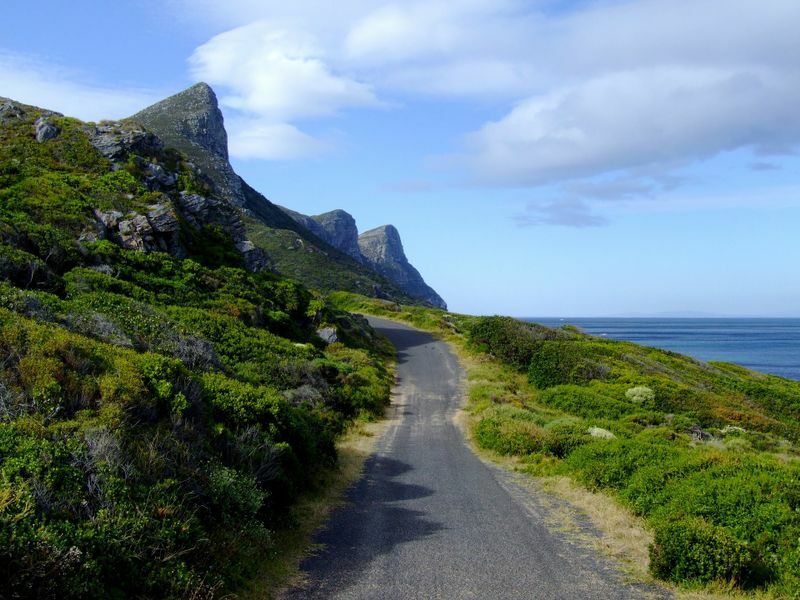 The Cape of Good Hope is heaven for those who love the outdoors. There are hiking and cycling trails, as well as excellent surf spots. 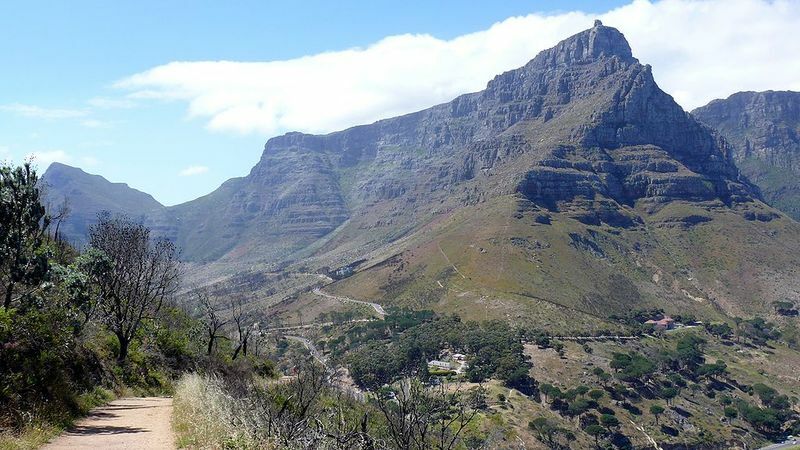 While Table Mountain, one of the most well-known mountains in Africa, offers walkers and hikers a range of routes to choose from to get to the summit. How to get to Table Mountain National Park: Cape Town International Airport (CPT) is the main point of entry. Check with your safari operator whether the airport transfer is included or can be arranged. Park fee per day: The entrance fee depends on which are of the park you wish to visit. For example, to enter Boulders Beach, the Standard Conservation Fee (Foreign Visitors) is R152 (10.43 USD) per adult / R76 (5.22 USD) per child. Best time to visit: All year-round, but summers are recommended (October to March) as there’s less rainfall. Famous for: Table Mountain, penguins at Boulders Beach, Cape of Good Hope. A UNESCO World Heritage Site, Mapungubwe National Park has both cultural and environmental significance. While wildlife may not be the highlight of the park, the scenery is spectacular. 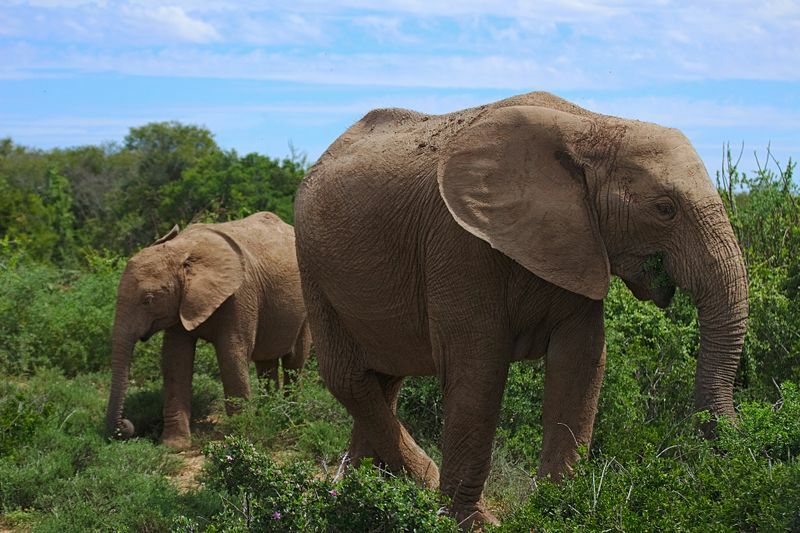 A game drive around the wildlife viewing circuit offers good sightings of elephants, giraffes, zebras, and wildebeest. Elands and baboons can also be seen here. Other animals, such as lions, leopards, rhinos, and hyenas are harder to spot. Travelers who prefer to be more active can try the tree top walk, which goes along a riverine forest on a raised canopy walk overlooking the Limpopo River. As for those who visit for the culture, Mapungubwe Hill is the site of an ancient civilization and heritage tours are available within the park. How to get to Mapungubwe National Park: Most visitors fly into O.R. Tambo International Airport (JNB) near Johannesburg. Check with your safari operator whether the airport transfer is included or can be arranged. Park fee per day: Standard Conservation Fee (Foreign Visitors) R218 (14.19 USD) per adult / R109 (7.42 USD) per child. Best time to visit: May to September (dry winter months). March to May are also good months as the air is free of dust. Famous for: Spectacular scenery, Mapungubwe Hill, canopy walk. The Garden Route National Park is a coastal reserve well known for its forests, dramatic coastline, and hiking trails. The Wilderness Section: Located around the town of Wilderness, protecting five lakes. The Knysna Lakes Section: Protects Knysna Estuary. The Tsitsikamma Section: Covers the coastline with Nature’s Valley at the western end of the park and is home to the picturesque tourist region known as the Garden Route. All three sections have many hiking and walking trails available. Most of them can be found in the Tsitsikamma Section, ranging from short trails that can be tackled in several hours to trails that need multi-day hiking to be covered. Forest excursions are also available in all sections. Travelers who enjoy watersports can try canoeing, kayaking, river tubing, snorkeling or scuba diving. How to get to Garden Route National Park: Cape Town International Airport (CPT) is the main point of entry. Check with your safari operator whether the airport transfer is included or can be arranged. Park fee per day: The park fee depends on which section you plant to visit. Best time to visit: All year-round but February to April is preferred if you want to avoid the crowds. 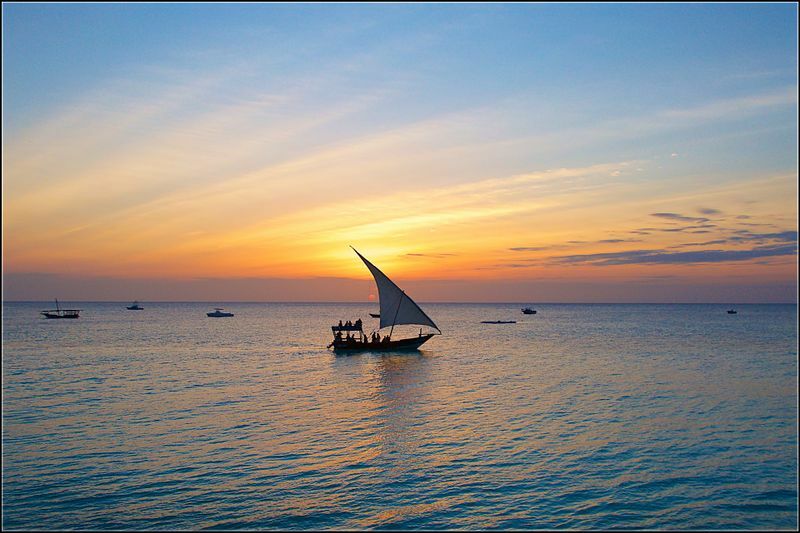 Ready to explore one of the most beautiful and interesting African countries? Then why not book a safari in South Africa and get a chance to see incredible animals and stunning landscapes?